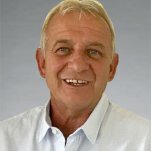 Kurt Arnet is the CEO and founder of APS Arzneimittel-Parallelimport-Service AG. He has worked in the pharmaceutical industry since 1979. During his career, Mr. Arnet has worked in various leading positions in the Swiss pharmaceuticals market and is a recognized expert in pharmaceutical wholesale trade, as well as a forerunner of pharmaceutical parallel imports. In his free time, Kurt Arnet is president of the women’s football club FC Luzern. Antonio Monopoli has worked in the pharmaceutical industry since 1997. Thanks to his long-standing and extensive management experience, he contributes expertise in business development, marketing, sales and market access. 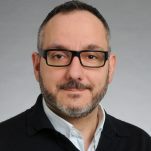 Mr. Monopoli has been president of Swiss Marketing Zug since 2013, and since 2012 has acted as expert examiner of vocational Swiss Federal Certificate examinations for pharmaceuticals specialists.